Reckonin' at Gun Manor released a few days ago on Steam (not on GOG yet) adding a whole new adventure. 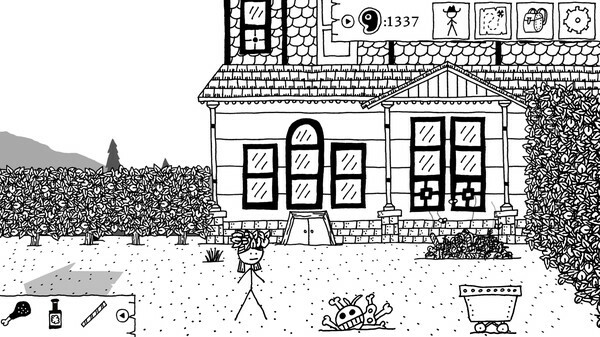 Our contributor Flesk took a look at West of Loathing some time ago, as did I, and we both seemed to enjoy it quite a lot. Going by the few user reviews the DLC has on Steam, seems like a solid addition. Considering how amusing the main game is, picking up a DLC for it to play even more seems like a no-brainer to me. You can pick up the DLC on Steam for £3.99/$4.99/€3.99. The base game on Steam is £7.99/$10.99/€10.99. It's also on GOG but no DLC yet. And nice graphics (it has dynamic shadows!). Samsai did a playthrough on his Friday livestream and I had to stop watching because it was so good and I didn't want to spoil it for myself. Still need to pick it up, but I keep forgetting to add it to my wishlist. silmeth Best computer RPG ever. Don't forget the colour blind mode! Hmm. Is the DLC standalone or a mission you play during the main campaign ? That is a great soundtrack. It has all the great cowboy-movie-type stuff, turned up to eleven or so but at the same time done very well. A ton of panache there. There's even a really quite good rag! I want to figure out how to put that in place of the Stellaris soundtrack. Not that there's anything wrong with the Stellaris soundtrack, exactly. Wishlisted. Like WorMzy, I'm sure I meant to do that before. Game update is still not on GOG though.